This entry was tagged Andalucía, CBBH, CBBH Photo Challenge, Europe, history, photography, Seville, Spain, travel. Bookmark the permalink. Andalusia is the most beautiful place in Spain!!! Pingback: Jo's Monday walk : to Infinity and beyond! It’s one of my favourites too! Love that shot of Cordoba 🙂 Sorry I haven’t had much time to play lately, Marianne. Hoping I can join you with my Monday walk? Loved walking with you Jo – I don’t know this area at all, but it’s lovely, despite the gloomy skies. The two modern bridges are quite something, aren’t they? I particularly love some of the close-up angles you have captured. Excellent! Have fun in Paris – and I send you every good wish for your Silver Wedding Anniversary. Hope you have a fantastic time. Will you be visiting Monet’s house on the 12th? I LOVE Monet’s work, but even though I’ve been to Paris several times, I’ve never made it to Giverny …. yet! A great subject Marianne. And wonderful shots. 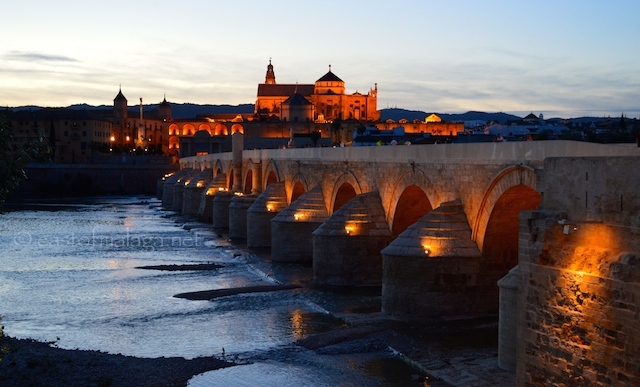 The Roman bridge is an eternal favourite and yours is a particularly beautiful capture! Thank you – though this will be the final challenge, this month. It’s time for a change. Yes, I’ve very pleased with the first shot, Madhu. Thanks. I’ve started my “One Trip EVERY Month” Challenge – but there are so many photo challenges around, I thought it was time for a change. Thanks for your kind comment, Amanda. Much appreciated. Comments are switched off, you say. That is weird. WordPress is certainly acting weird lately. I’ll have to investigate. Okay, I have enabled comments. Thanks so much for alerting me to this. I wonder why they suddenly became disabled. I did have some problems posting the bridge. The wordpress gremlins, perhaps? Gorgeous images, as always! 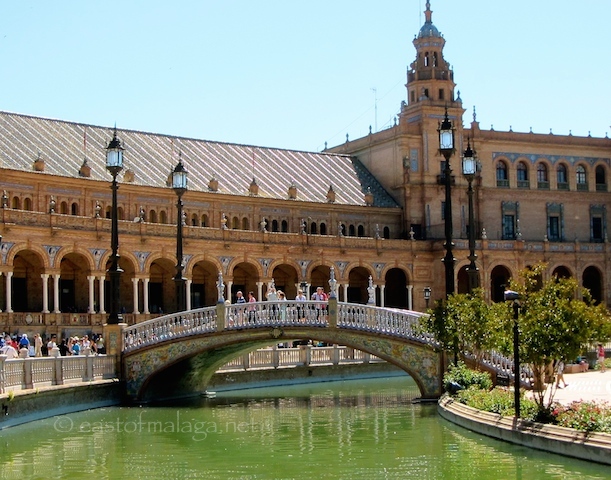 We didn’t get to see the bridge in Sevilla 😕 Beautiful bridges, Marianne! 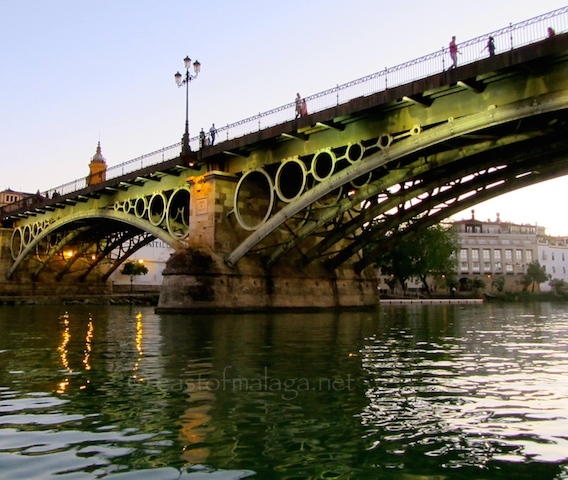 OH that’s a shame you did’t see them, Amy – neither of the Sevillian bridges in my photos are far from the Alcazar. Still …. you enjoyed the Alcazar, didn’t you? Great Bridge photos ~ so beautiful. Love your bridges, Marianne! I have to agree with Sue, I especially like the first one…. And thanks very much for blog hopping to my site, and for your lovely words! What a surprise….and to think I thought it was spam initially (in my reader, I got East of Mlaga – no first á – which made me suspicious!! I had better go looking for some bridges now! I wonder why it came as East of Mlaga – how odd. Nothing has changed here that I know of, but I understand your suspicion. It’s always best to be on the ball with dodgy looking emails or correspondence. You are most welcome, Sue. Happy August!